Ultrasound is a cyclic sound pressure wave with a frequency greater than the upper limit of the human hearing range. Ultrasound is utilized in many different fields including human medicine and body contouring! Ultrasonic Energy (ultrasound) is successfully utilized in order to bring about fat cell lysis. Here we will try to explain how this is feasible! Ultrasonic energy can be delivered either in two different forms: Focused and Non Focused. While Non-focused delivery can bring about damage in skin cells while a minimal amount of the energy will reach the fat cells, focused is the ideal method in terms of lipolysis. What is Ultrasound Cavitation Treatment? 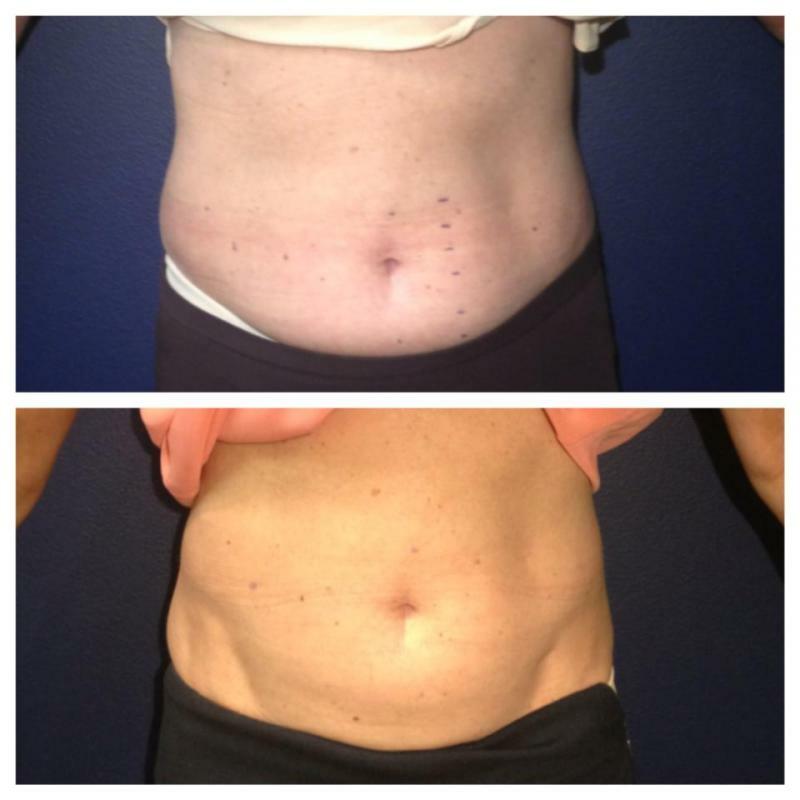 Ultrasound Cavitation is a revoltionary fat reduction and body sculpting treatment that offers consumers a safe, painless, and non-invasive way to remove unwanted fat deposits. Ultrasound cavitation is a natural phenomenon that occurs when low frequency ultrasound is directed at fat cells, creating bubbles inside them that gradually grow. Since fat cell membranes do not have the structural capacity to withstand ultrasound vibrations they eventually implode reducing them to their liquid form and are harmlessly discharged from the body. The treatment can be used by both men and women for up to 30 minutes at a time, twice a week on your upper arms, tummy, thighs and bottom. You have to be physically fit and not on medicatio to use it (* See Contraindications). It is a totally pain free way of contouring and sculpting your body. Results can often be seen immediately after you finish your first 30minute session. What's even better is the process continues to work over a number of weeks as the body naturally clears the fatty deposits. You can expect to be slimmer and have little or no cellulite. Following an initail consultation with your fully trained and qualified Technition, nyour treatment will be tailored to your specific nees. each treatment usually takes around 30 minutes. During this time a small paddle is moved over the area you wish to contour.